The Automotive industry requires tight tolerances and the need to prototype parts accurately and efficiently. Utilizing 3D Printing Technologies they are doing just that! 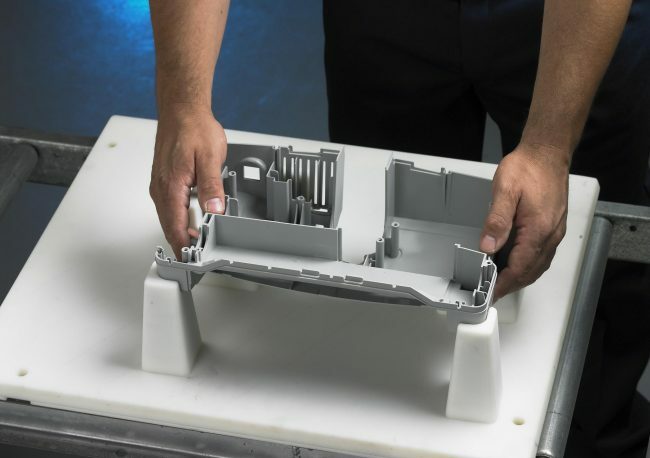 3D Printing allows automotive manufacturers to go from the design studio straight to the factory floor in a fraction of the time it takes other manufacturing and development processes to. Here at the 3D Print Bureau we use a wide range of 3D Printing materials. These materials range from translucent to flexible and make it possible to 3D Print automotive parts such as headlight lenses, dashboard parts and facilitates the process of fluid analysis with the translucent materials. How can I find out more about 3D Printing for the Automotive industry? If you’d like to find out how more on how 3D Printing is revolutionizing the way we manufacture in the Automotive industry, just get in touch with one of our team.